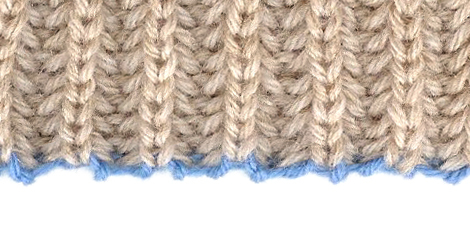 Because of its elasticity, brioche knitting requires fewer stitches but more rows. Keep in mind that, given the elasticity of brioche, you should cast on and bind off very loosely. After casting on, it takes 5-6 worked rows before pattern can be recognized. This cast on looks great with brioche stitching. 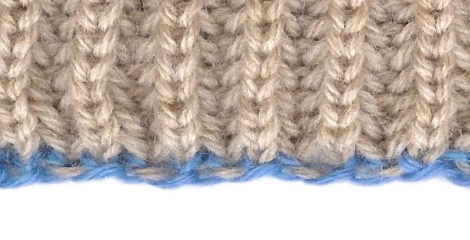 After you have cast on, you will be able to see which stitches want to be knit and which want to be purled. Work them accordingly. 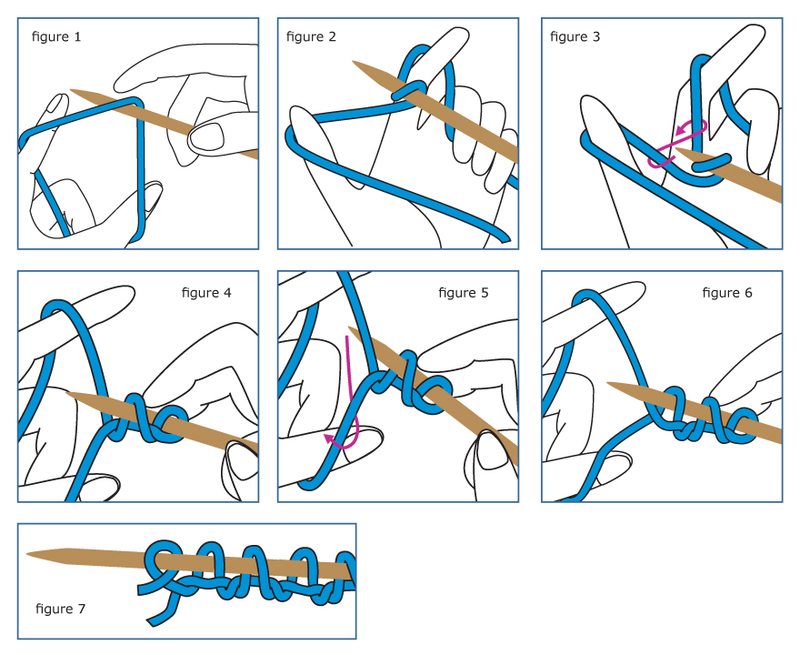 Allowing a strand of yarn 3 times that of the desired cast on, wrap it around your thumb and wrap the yarn coming from the ball around the index finger of left hand as shown in figure 1, twist it to make a loop like that in figure 2. This is the first stitch. Knit st: steer the needle in front and under your thumb yarn, then over and behind index finger strand. Catch index finger strand on needle tip and bring it back under the thumb strand, returning to original position. Figures 3 and 4. Purl st: move the needle over then under the index finger strand and all the way under thumb strand until you are in front of the thumb strand. Lay the needle down on the thumb yarn. Bring it back under index finger strand and return to original position. Figures 5 and 6. 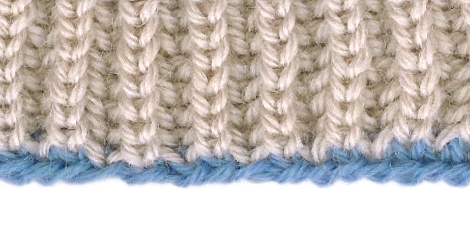 Repeat the knit and purl steps until the desired number of stitches are hanging on the needle less one. The last stitch should be a half-hitch made by looping the yarn around the needle like figure 7. Long tail cast on is basically an ‘e’ cast on with one row worked. For adequate ease and looseness, when using a long-tail cast on, cast onto two needles held together or a needle larger than the one with which you plan to knit the rest of the piece. Of course, after casting on, pull out one needle to continue.